The New Bern High School Marching Band is a voluntary performing ensemble and comprised of wind, percussion, and colorguard members. The season typically starts in the late summer and lasts until the end the fall. The Marching Bears are also highly active in the community, performing for all home football games and local parades and functions. 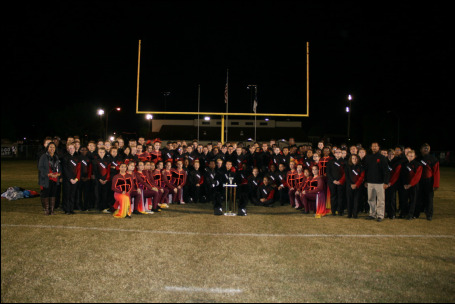 The Marching Bears travel throughout the season to compete at various local and regional competitions. Students learn various life skills, such as teamwork and responsibility in this ensemble. Students also learn to push themselves as musicians and performers. 2016 Season Recap: "Pulling Strings"
2015 Season Recap: "From the Ashes"
​A great year. Definitely "Harder, Better, Faster, Stronger" this year!